A zero lot line house is a type of real estate in which the housing structure comes right up to the property line or very close to it. These properties may be attached to other homes or may be detached. For example, townhouses and garden houses may be considered zero lot line homes. This type of home is popular in places with a high population density, and it may be suitable for a wide variety of incomes. At Pulgini & Norton, our Boston real estate attorneys can advise you on buying or selling a zero lot line house. Zero lot line houses may be a good option for people who do not want a large yard or garden and only want to pay for a lot that is big enough for the house. They may provide savings to buyers who are low-income or who are frugal and want to save on the extra money that is necessary for large lots. For some buyers, they are better than condos because they provide greater independence but are also low-maintenance. In a condominium, you will likely need to follow numerous restrictions, such as rules setting quiet hours and a maximum number of pets. A zero lot line house allows more freedom. On the other hand, the lack of a lot may result in a lack of privacy. It matters more how the windows are placed because without a large lot, people on the street may be able to look right into the home. Noise from the street, such as foot traffic or passing cars, may also affect your quality of life in a home like this. People who have never lived in a zero lot line house or in a dense urban neighborhood may face more friction with neighbors than they would prefer. 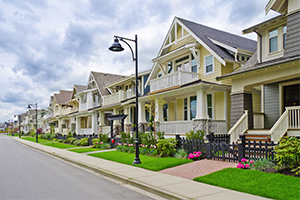 There is not much of a buffer with neighbors, and unlike with a condominium, there is no central association document that governs potential disputes with neighbors about the use of their property. Suppose that you need to repair a wall, but you cannot do so without going onto your neighbor's lot. The neighbor may or may not let your contractor put ladders and other materials on their property. If you live in a condominium, such repairs would likely be governed by the condominium documents. In a zero lot line house, you will need to take a look at the remedies that the law may afford you. Under Massachusetts General Laws Chapter 266, Section 120B, when a building is so close to someone else's land that entry onto the abutting land is necessary to repair the building in order to prevent waste, it is not considered trespassing for the building owner to go onto the abutting land to make the repair. The entry is supposed to be expeditious and with due care, and you need to make sure that no damage is caused by going onto the other land. Before going onto the other land, you need to notify the officer in charge of your local police department to let them know that you asked for permission to go onto the land, the permission was refused, and you plan to go onto the land based on this code section. Before you do go onto the other person's lot, you need to post bond with the police chief in the amount of $1,000 in case of damage to the other person's lot. Other restrictions also may apply. Zero lot line houses may have both advantages and disadvantages for homeowners. At Pulgini & Norton, our Boston lawyers can advise you on the purchase or sale of a home and provide advice about any issues that may arise with the property. Our firm handles real estate matters in Newton, Weymouth, and Cambridge, among other Massachusetts communities. For a consultation with a property transaction lawyer, contact us online or call us at 781-843-2200.